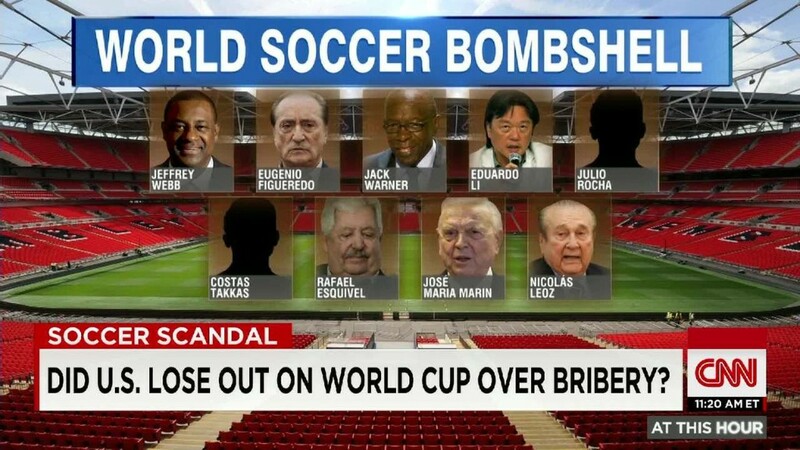 Soccer's world governing body, FIFA, was rocked Wednesday by charges of corruption involving several senior officials. U.S. prosecutors issued arrest warrants for 14 people, and authorities in Switzerland -- where FIFA is based -- have launched their own separate investigation. FIFA generates billions in revenue, driven by TV and sponsorship rights for hosting the World Cup, the most popular single sporting event in the world. More than 3.2 billion people watched the 2010 tournament in South Africa, and even more are thought to have turned in for Brazil 2014. 1. Huge revenues: FIFA made $5.7 billion in revenue in the four years leading up to the 2014 World Cup. Last year alone, it racked up $2 billion in revenue, but it was the big event in Brazil that boosted its books. 2. World Cup: The 2014 event drew an impressive $2.6 billion profit for FIFA. It culminated in a final between Germany and Argentina. which FIFA said was watched, at least in part, by one billion people. 3. Media rights: The sale of television rights generated a big chunk -- $2.4 billion -- of the revenues produced by the Brazil World Cup. That income, combined with marketing rights, pooled about $4 billion for FIFA. 4. 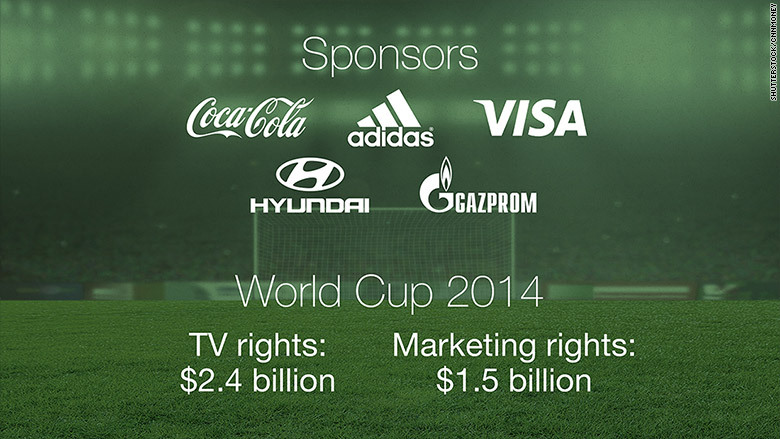 Ticket sales: Ticketing rights to the most recent World Cup added another $527 million. More than 11 million tickets were requested for the South American games, with just under a third of that amount allocated. 5. Sponsorship dollars: FIFA counted six blue-chip companies as major sponsors in the four years to 2014: Adidas (ADDDF), Coca-Cola (KO), Hyundai (HYMTF), Emirates, Sony (SNE), and Visa (V). Emirates and Sony did not renew their contracts at the end of last year. FIFA currently lists the remaining four, plus Russia's Gazprom, as its official partners. The soccer association collected $1.6 billion in sponsorship in the 2011- 2014 period that included the most recent World Cup, according to IEG, a U.S. research firm which tracks sponsorship spending. Related: Olympic sponsorship: Is it worth it? 6. Salary bill: FIFA shelled out around $88 million in salaries last year, including nearly $40 million to its top 13 executives. It doesn't disclose the individual amounts paid to President Sepp Blatter, or other senior officials, but does say that compensation is in line with major international and Swiss companies. 7. Soccer investment: A fair slice of FIFA's earnings are devoted to developing soccer around the world. FIFA spent about $1 billion on infrastructure, sporting facilities, equipment and education between 2011 and 2014.